LEXINGTON, KY, November 27, 2017 – Coles 735 Main, one of downtown Lexington’s popular locally owned restaurants, is kicking off this holiday season with a different mission than many small businesses: to give back to the local community. The restaurant recently announced the launch of a new program – Cole’s Community Table – aimed at regularly benefitting a variety of charities in the Bluegrass Region. 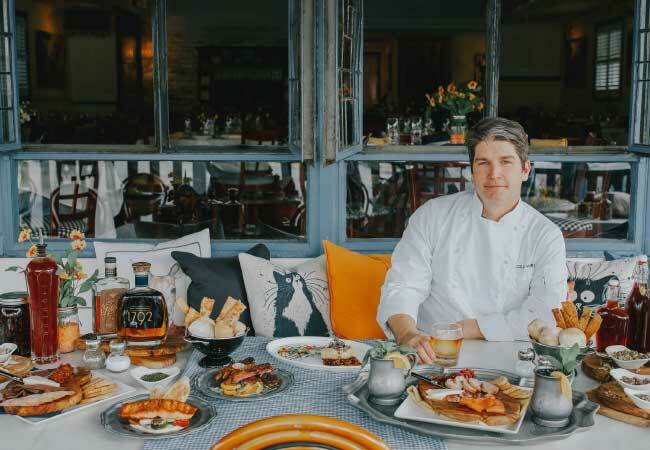 Led by Executive Chef and Owner Cole Arimes, the Cole’s Community Table program is dedicated to generating much-needed funds for a different local charity each month. The restaurant team will partner with each charity to coordinate a monthly dinner in the dining room of Coles 735 Main, during which a percentage of the evening's proceeds will be donated directly to the selected organization. Coles 735 Main will also assist in promoting the charity’s mission to customers before and during each month's event. The first Cole’s Community Table event was hosted on November 13, 2017 in support of On The Move Art Studio, an organization that aims to make the arts accessible to all young people by bringing its renovated vintage trailer of art supplies directly to communities in need. December 6, 2017: Riding for Hope, a nonprofit organization dedicated to enriching the community by improving the quality of life and the health of children and adults with special physical, cognitive, emotional and social needs through therapeutic activities with the horse. January 2017 (date TBD): Children's Advocacy Center of the Bluegrass, a nonprofit organization dedicated to reducing the trauma experienced by child victims of sexual abuse. 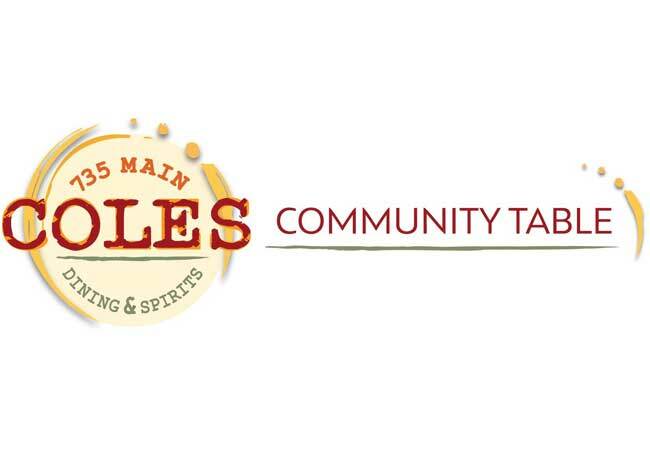 All local nonprofit or charitable organizations are encouraged to apply to be part of a Cole’s Community Table event. More information regarding the program and how to get involved is available at www.coles735main.com/charity. Download the Cole’s Community Table logo. Download image of Executive Chef Cole Arimes.